It’s way too nice to be inside, so we’ve been outdoors as much as possible. 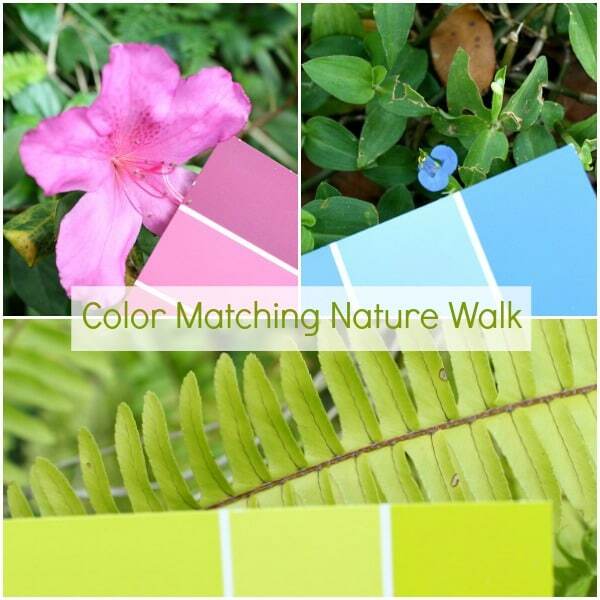 If the flowers are in bloom where you live, try this color matching nature walk. 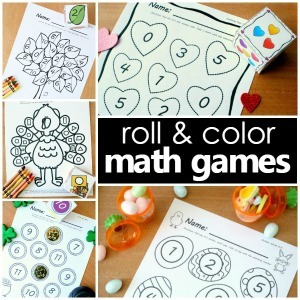 It’s a great way for young children to learn colors, and it’s a terrific activity for helping older kids focus in closely on details like different shades of colors. You’ll need some color samples in a variety of colors, a hole punch, and a ring clip to help hold your color samples together. Punch a hole in the corner of each sample. Then combine them all with the ring clip, and you’re ready to head outside. You can take these on a walk through your neighborhood, to a local park, or to a botanical garden in your area. We chose to go on a walk and explore our neighborhood. 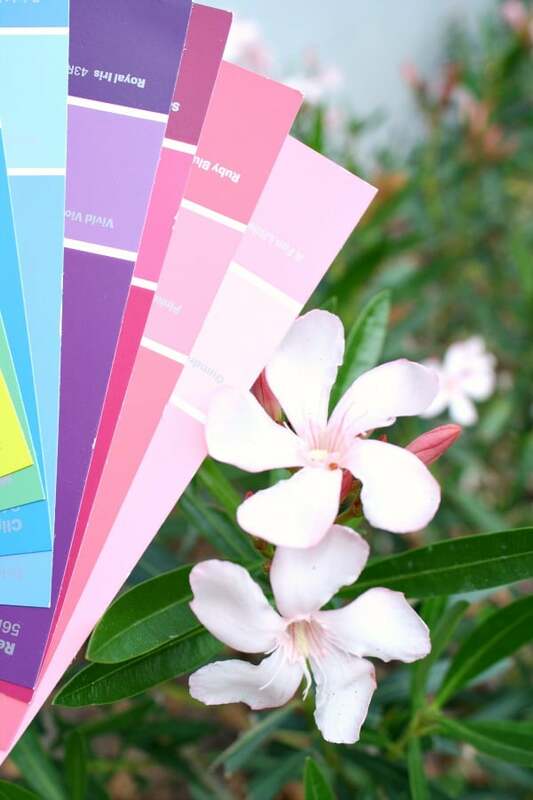 We didn’t have to go far to find lots of flowers and plants that matched our color samples. Even if you don’t think there are a lot of options in your area, you might be surprised. Even those little weeds sometimes have beautifully colored flowers…kinda like our blue flowers below. Not only do I love that this activity gets us outdoors and moving, I also love that it reminds us to look closely for the beauty in the environment we see every day. 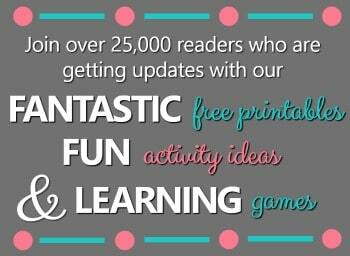 For more nature fun, try our opposites scavenger hunt or our five senses forest walk. 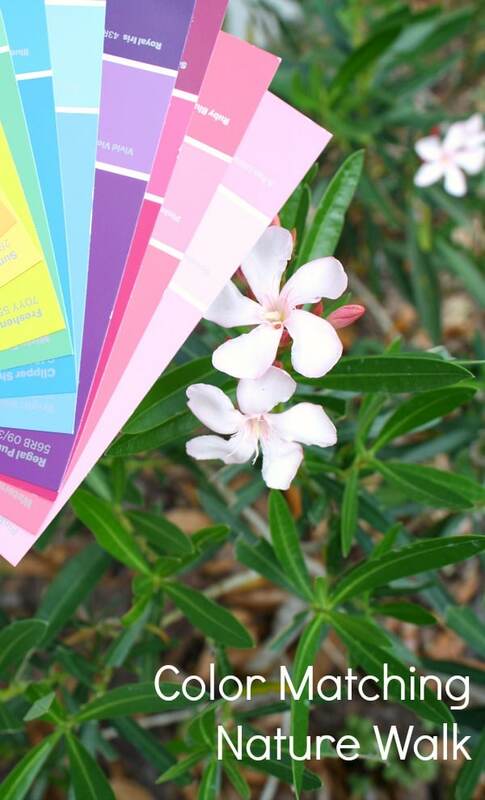 I loved your idea, but I can’t find where to buy or get those colour cards. Could you recommend me some places to purchase them?